These charming animal-shaped toys are ideal for games of toss and fetch. Each toy features our durable Treat Meter® prongs so you can fill them up with your dog's favorite treats. Treats pop out randomly while your dog plays, making playtime last longer. 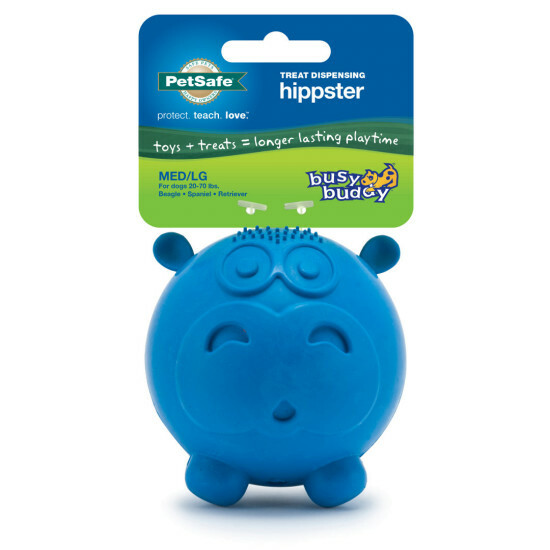 Dogs love chewing these durable rubber toys, and you'll love watching them chew and play for hours. Choose from the cow, elephant, or hippo.